One of the questions I've been peppered with since the iPad 2 announcement was whether I was going to replace my first-generation iPad for the new one. The answer for me is yes, since it's part of my job to live with these gadgets so I can understand their strengths, weaknesses, and appeal. But for most original iPad owners, I'm guessing they'll be holding out for version 3. Why's that? The real big change is less about the external redesign as much as what's inside. New are things like a snappier processor and built-in graphics that Apple promises to be up to nine times faster than in the first-generation iPad. There are also the two cameras, which will open the device up to a greater number of applications. Apple's "Retina Display" technology first appeared on the iPhone 4 and later made it into the latest version of the iPod Touch. Marketing speak aside, it's a high-density pixel display that packs in about four times the number of pixels as standard displays. How this trickles down to apps is text with smoother edges and the capability for developers to add more detail. This omission would have been big win for eyeballs, but alas the screen that ships in the iPad 2 is the same resolution as the first. 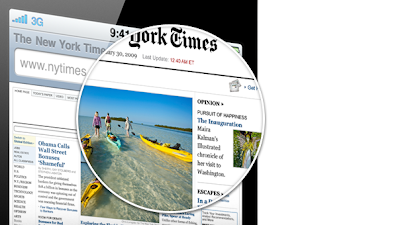 As the Retina Display-ready games and apps on the iPhone 4 have proven, the effect of having a resolution that high in such a small area can have a dramatic effect on detail for things like text, and detailed imagery. Prior to the iPad 2's announcement, rumors had circulated that Apple was planning to add a Retina Display to the tablet. Those reports were later updated to suggest that Apple was saving it for the third generation of the device. 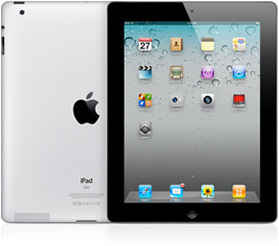 The iPad has largely been positioned by Apple as a companion device to traditional computers. But that doesn't mean people aren't using it for things they'd normally do on a computer, such as plugging in their camera to store, edit, and share photos they've taken on their digital camera. Apple's solution up until this point has been to sell a camera adapter accessory that uses the iPad's 30-pin plug to interface with either an SD memory card, or any USB camera. USB ports ship on all of Apple's computers, and recent generations of the MacBook Pro and Air have tacked on SD card slots, which pull double duty as a media reader and a way to actually boot the machine with a recovery image. Rumors began circulating as early as September of last year that Apple was working to bring a mini-USB port to the next iPad. Extra fuel was added to that fire with a number of third-party case manufacturers making early iPad 2 case designs with an extra hole near the top. This later turned out to be the revised placement of Apple's microphone, which had previously been located next to the headphone jack. So could Apple add either one of these to the next model? Perhaps. Though that would give people less of a reason to shell out $29 for the connector kit. Thunderbolt is Intel's super fast port that debuted just last week. So far, it's only available on Apple's MacBook Pro line, which got a refresh the same day Thunderbolt was formally announced. Thunderbolt promises to bring speeds in excess of USB 3.0, which for something like the iPad could mean dramatically faster sync times when plugging in the device to a computer. That could become a very important feature to have as the storage in the iPad increases, which in the new iPad, it did not. Though the obvious move here is that Apple would not limit the iPad's main line of connectivity to computers to ones that were just released only a week ago. A good historical example of that limitation is Firewire technology and the rise of the iPod. When the iPod was first introduced, it only worked with Firewire and Macs, before making the move to PCs. The product came during an awkward time in tech history where USB 2.0 was just beginning to become ubiquitous, and PC makers were favoring the four-pin, unpowered i.Link ports versus Apple's 6-pin Firewire plug. The result was that you could sync your iPod, but you couldn't charge it at the same time. You also needed a certain amount of juice to make sure it could finish the sync without dying. Apple's temporary solution, before switching to USB 2.0 entirely, was to ship a 2-in-1 cable that would let users do the transferring over Firewire, while charging the device with the USB port. Apple eventually phased out Firewire in favor of USB 2.0, but in the process also lost some of the sustained transfer speeds, which could add up over a long sync. Thunderbolt could end up being the answer to bringing that speed back, though with new MacBook Pros only sporting one Thunderbolt port, which is also used to plug into external displays, it's not quite at the point of being the kind of casual plug users will have open and available at all times. That could certainly change a little farther down the line though. 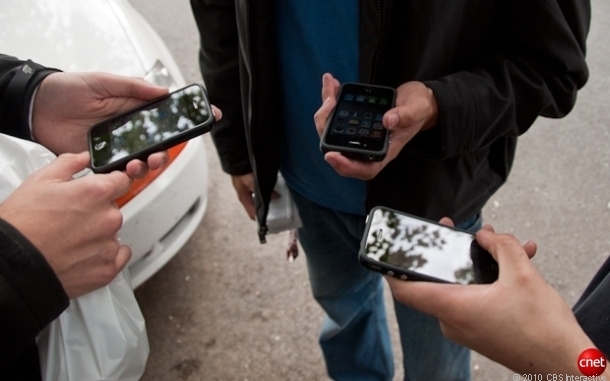 Near Field Communications technology, or NFC, enables devices to exchange information with one another over short distances. Think of something like the Bump app, which uses an intermediary service to exchange information between two devices that are tapped together. Well, NFC goes the next step, and actually sends the data between the two with no middleman. Rumors of Apple testing NFC chips in iPhones began as early as August, then a report by Bloomberg back in January claimed that Apple was working to bring the technology to the next generation of the iPhone and iPad. NFC chips could then be used as a payment option, or with applications to ferry over their data from one device to another. Competitors like Google have already built NFC into their Android 2.3 operating system (codenamed "Gingerbread"), where it appears on devices like the Nexus S. Considering Jobs announced that Apple now had 200 million user credit card accounts on file with iTunes, iBooks, and the App Store, it seems only a matter of time before its added. And to cap off the list of things that could have made it into the iPad 2 is 4G, the successor to the 3G cellular data networks that promises to bring significantly faster wireless data speeds. The first iPad shipped with only AT&T as the 3G provider, with this second one adding Verizon as a provider for the built-in cellular antenna. Since then, both providers have made strides with next-generation cellular networks: Verizon has its 4G Long Term Evolution (LTE) network in 38 markets and 60 airports, while AT&T is prepping its own 4G LTE network, which the company had said would be available "mid-year" back at CES. In that sense, only Verizon is the more ready of the two to offer something that would have a wider availability, leaving reasonable expectations that Apple would sit out trying to include a 4G antenna in this iPad model for the sake of creating any noted differences between the two models with 3G. By comparison, Apple competitor Motorola plans to offer a 4G modem upgrade to owners of its Xoom tablet in the second quarter of this year. This will require that users send back their tablet to the company to get it retrofitted to receive the 4G signal. Anything we missed? Feel free to leave it in the comments.